Voting will take place at the annual meeting, Nov. 29th, 6:30 to 9PM. Light fare courtesy of Cabot Cheese, pizza provided by our friends at The Blue Stone. Full cash bar benefits the VFW. Nancy is the Senior Regional Director of the American Heart Association and has 25 years of management level experience in both for-profit and nonprofit businesses. Management of multiple areas of a business; running a department of 150 staff, thousands of guests, and it’s 39 million-dollar budget; as a sole proprietor business owner for many years; Interim Executive Director, Marketing; Development Director in charge of fundraising and donor development at United Way of Addison County. Event planning, including both fundraising events and thank you/recognition events. Creating all print and online marketing materials. Creating and implementing donor and payroll presentations, tracking and segmenting donors, identifying prospects for ‘move up’ potential, etc. Strategic planning and implementation for bringing enhanced communications and giving options and addressing the changing habits of new demographics. Updated web platform, added Twitter and Instagram, integrated Facebook and Twitter, FB as both an event and donor tool, and introduced crowd-funding, text and mobile giving to our funding resources. Donor relations including identifying prospects, talking to existing and lapsed donors, keeping donors informed through newsletters, emails, and annual reports, and inviting them to events. Creating and implementing a stewardship process for the board for identifying, contacting and thanking donors. Trained board in engaging donors with the rule of 5 Points of Contact: Thank, Show Impact, Engage, Discovery, Tee up for Next Ask. Hello! I’m Monique Gilbert, a mom of two kiddos, who lives and rides in Jericho and beyond. I am the Development Advisor for the Guanacaste Dry Forest Conservation Fund, a non-profit that supports a national park in Costa Rica. I am also the writer/editor for an online news service that explores reforming food and agriculture policy in the U.S. Previously I worked for: a coalition of local governments in Colorado; the Colorado Division of Wildlife; and, the National Wildlife Federation here in Vermont. I was on the Town of Jericho’s Conservation Commission until I was appointed to be an Act 250 Commissioner for Chittenden County by Governor Shumlin seven years ago. I have extensive experience fundraising, using social media, working for, and running, non-profit organizations, as well as working with local and state government. When I’m not riding, working, or spending time with my kids, I enjoy running, hiking, skiing, snowboarding, travel, and just wandering in the woods. 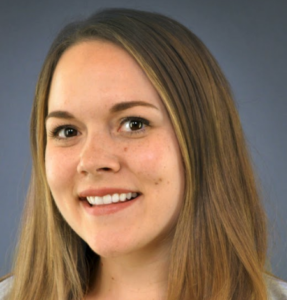 Karly Moore is a Marketing professional based at non-profit hospital, the University of Vermont Medical Center. Her expertise lies in the areas of marketing and social media strategy in order to build captive audiences and drive behavior change. As a relatively new mountain biker she understands the barriers that exist for adults wanting to enter the sport and sees opportunities to better engage this audience in order to build a longstanding love for the sport. While she may be a flatlander (she has only lived here for nine years), Karly began coming to Vermont during her teens as an avid snowboarder and understands the draw our state has on people from the region. VMBA’s trails not only provide a place for Vermonters to ride, but also for people from across New England and beyond. She is interested in exploring opportunities to increase out of state membership in order to provide more resources for maintaining and improving our trail system. Born in Massena, NY, Danielle now lives in Waterbury Center, VT. She has a BA in Marketing & Advertising, and an MBA from Champlain College. For the past 7 years, Danielle has helped to shape Cabot’s digital marketing including the websites, online materials, e-blasts & other digital messaging/marketing needs. Prior to joining Cabot in May 2012, Danielle was the Marketing Manager at Stowe Mountain Resort for four years. Her skill set working in a fast-paced environment combined with her experience working within a Co-operative business model would be a valuable asset to VMBA. 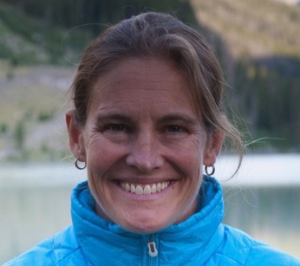 Danielle has created many different relationships in the outdoor industry during her time at Stowe Mountain Resort, and prior to that at Burton Snowboards. At Cabot, Danielle works closely with like-minded organizations such as Ben & Jerry’s, King Arthur Flour, Seventh Generation, Darn Tough and many more. Danielle is the proud “pet parent” of a contagiously loveable 80lb Black Lab named Cash (after the ‘Man in Black’) who loves Mountain Biking almost as much as she does! Danielle enjoys giving back to her community by participating in volunteer days & community events. 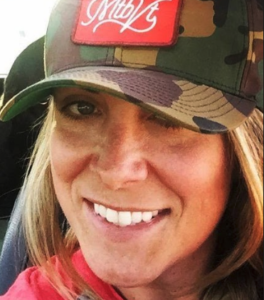 Danielle takes full advantage of Vermont’s amazing recreational offerings and loves mountain biking, snowboarding, split-boarding, cross country skiing and hiking. 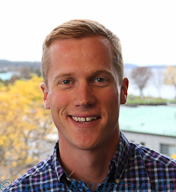 John Ringer is the Client Strategy Manager at NativeEnergy in Burlington, Vermont, where he works with the world’s leading corporations in sustainability, renewable energy programs and corporate impact investments. John leverages his experience in business strategy, stakeholder engagement and team leadership to create long term solutions for his clients. John is excited at the opportunity to translate these skill sets into helping VMBA usher in the next phase of the organization. John hopes to use his experience in business strategy, finance and stakeholder engagement to help VMBA take its current strengths and build on those in a meaningful and progressive way. This will help VMBA grow and respond to the needs of the mountain biking community of Vermont, which it represents. John resides in Waterbury Center, Vermont with his wife and purebred mutt, Ollie. His greatest pleasures in life are traveling, experiencing new cultures, biking skiing and spending time with his family and friends. John received his B.S. in Forest Management from the University of Vermont and is currently finishing his MBA from Champlain College. John looks forward to rolling up his sleeves and working with the VMBA team to progress and advance the organization.